Cardiac Risk in the Young (CRY) is a charity founded in 1995 to raise awareness of Cardiac Risk in the Young - Sudden Cardiac Death, Sudden Death Syndrome (SADS). It offers support to those who have suffered a loss through a network of affected families & counselling. The charity also promotes heart screening more, ECG Testing Programmes more & contributes to medical research. This week is the CRY raising awareness week. We have a coffee morning in the parish on Friday to raise funds for the charity. 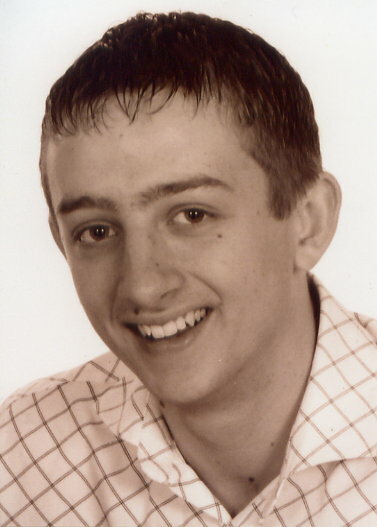 Please remember in your prayers Adam Donnelly (pictured), a fine young man of 17 who died suddenly while on holiday with his family in August 2004. Please also keep his parents Jed and Julie, and his sister Sian in your prayers.